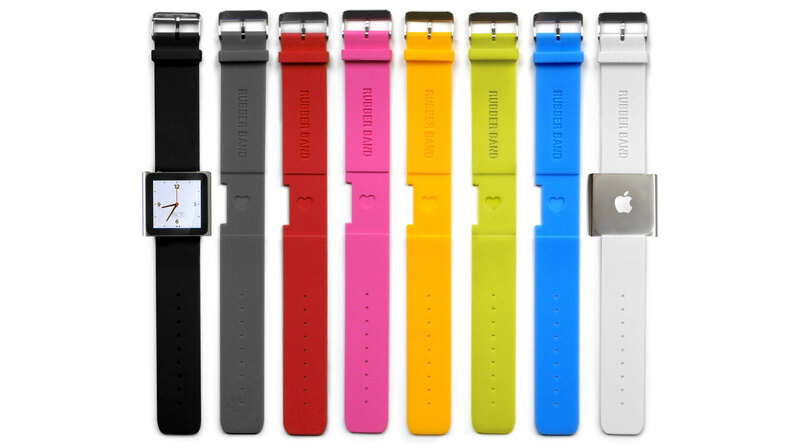 Use the flavor picker to find the right color combination. 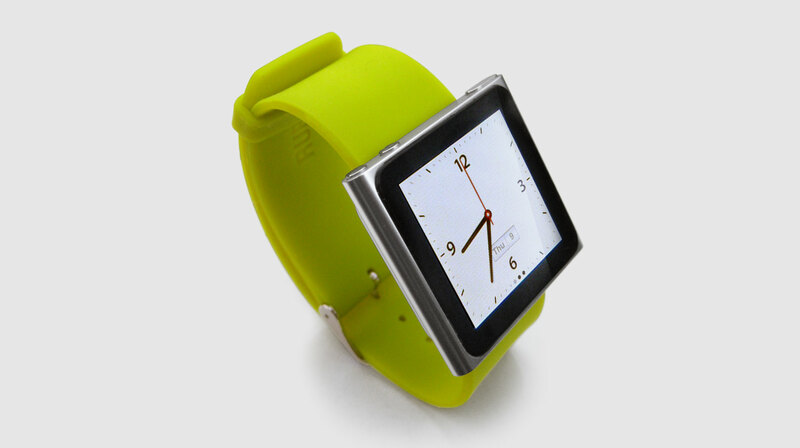 Rubber Band turns your iPod nano into a colorful watch that is animal friendly and recession friendly. RUBBER BAND. Always wear a rubber.